SHERYL O’LOUGHLIN is a titanic name in the entrepreneurial realm as well as an insurmountable name in her personal space. 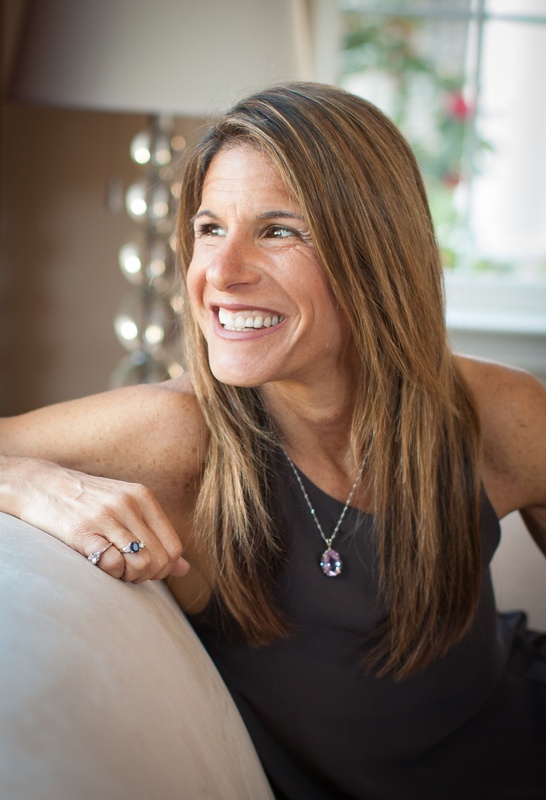 She has been bulldozing all barriers in the health foods industry and carries with her a padded resume with boast-worthy achievements — such as serving as the CEO of CLIF BAR, the CEO and CO-FOUNDER of PLUM ORGANICS and the OZ behind the launch of LUNA BAR, the first nutrition bar aimed at women’s nutritional needs. She also led the Center for Entrepreneurial Studies at the Stanford Graduate School of Business. On top of all this, she has recently published the incredibly inspirational self-help / psychology / leadership / business book called, KILLING IT! 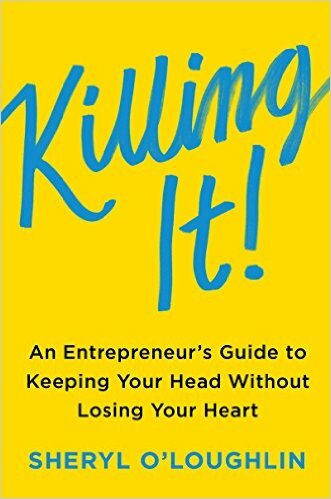 : An Entrepreneur’s Guide to Keeping Your Head Without Losing Your Heart. Without a doubt, it is a must-read for everyone. For moms, dads, career moms, PTA moms, CEOs, aspiring CEOs, athletes, authors, creative minds and suits. So how on earth has this Northwestern (MBA) / University of Michigan (BBA) grad achieved her professional feats with 2 kids in tow (and boys(! ), no less) and a marriage to massage, while sitting on the board of numerous companies and simultaneously do-gooding with NOT FOR SALE – a non-profit whose aim is to fight human trafficking? She manages to do it all and kills it all in the execution. I was mesmerized while reading her tell-all – digesting how she achieved her successes (in a very male-dominated the world) — and how she resurrected from her variety of falls (a frightening battle with anorexia, depression and a close call to declaring personal bankruptcy). The average Joes and Janes would internalize these hard bumps as permanent barriers and eternal emotional torrents — but instead, she used her mishaps as serendipitous learning avenues to grow from and build muscle. She was bigger than her fleeting descensions and took her teeter tottering balancing act of woman/wife/mom/CEO to go sky high. SHERYL is human and humble — and I couldn’t take enough notes on her words. KILLING IT! is the book I’ve always wanted to read – but no one has written until now. It encapsulates 360 degrees of 360 degrees. Business and parenting, self-care and self-identification, friendship and family, high surges and low falls — and the interstitials in between. Many of us are trying to figure out how to rise to the top of the business/career world without sacrificing the rest of our lives to do it. Well, SHERYL has walked that path — and in so doing has attained a keen understanding of what success really means. She gives us constructive advice on how we can get there too. So read up! Listen up! And Drink Up your REBBL! I’m so grateful to be the gifted the opportunity to ask her opinions on business school, the business world and how she uses her super human and humbling qualities to become Super Human. Hi Sheryl! Thank you so much for doing this interview. So – I’d love to know what guides you in your decision-making process. In parenting choices, in a mate, in investors and business decisions, etc. Do you go by gut or by gathering data? I use a mix of both. I look inward to my gut to understand my immediate reaction. Then, I’ll gather data to see if my gut is validated. But if my gut screams that something isn’t right, even if the data says otherwise, I pay attention. For example, the moment I met my now-investor and board member, Duane Primozich from BIGR Ventures, I knew he was very special. I was struck by the way he expressed his business philosophies, his curiosity and willingness to listen, his kind demeanor. The more I got to know him and did my due diligence with others, my gut was confirmed. He’s now one of the most exceptional people in my life—not just because he’s integral to the company, but because he’s a mentor and friend that I can be transparent and vulnerable with. When I’m with my kids, I use the same approach. If something doesn’t feel right, I pay attention. But I read like a fiend, talk with my husband, and talk with other parents to validate my gut. If the data says something isn’t an issue but I continue to feel that pull on my gut, I’ll continue to pursue a solution. Did you gain anything from business school that you couldn’t have achieved from the working world? Do you think there’s truth to the trend of saying that college and formal educations are finding its way to obsolescence? My studies in both undergrad and graduate school added immense value to me. University of Michigan, where I earned my undergrad degree, and Northwestern, where I went to business school, are where I learned the principles of running a business. My education also helped me develop skills that I needed, such as analysis, whereas I’m naturally more drawn to creativity. They helped me to develop a strong network and gave me credibility with companies and investors. I tell my kids that they need an education. It gives them options. Many young, aspiring entrepreneurs are now starting to question whether they need an education, but 95% of businesses fail, so why wouldn’t you give yourself optionality? And, since I’ve now taught entrepreneurs, I believe strongly that you can learn important entrepreneurship skills in school. 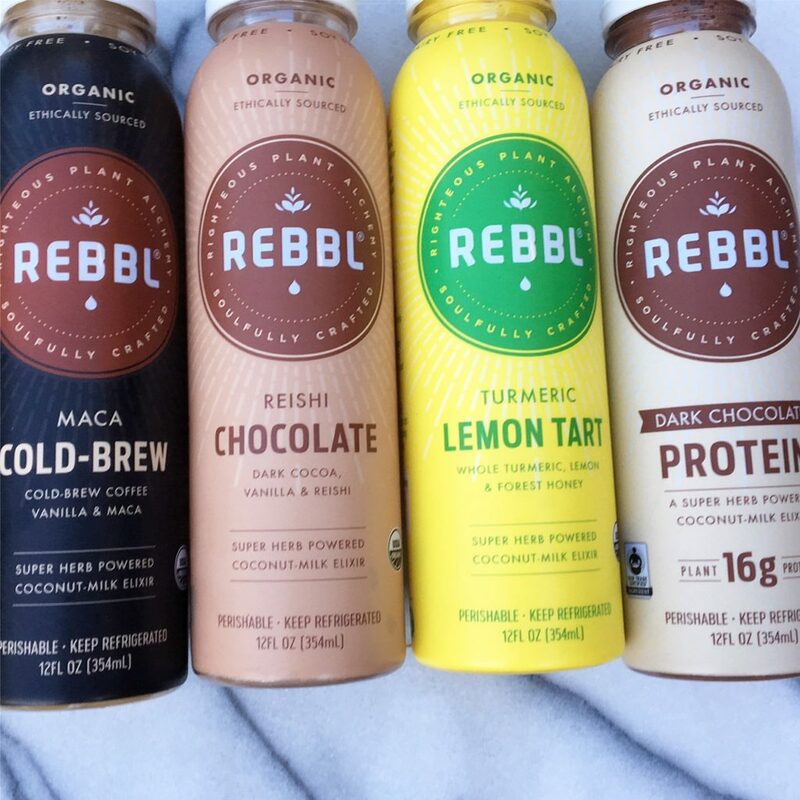 With REBBL, our top focus is exceptional taste because we know that if it tastes good, the masses—well beyond a core Whole Foods shopper—will be drawn to it. We’ve also worked hard to keep an affordable price point relative to other premium, functional beverages. (Our suggested retail price is $3.99 while other functional beverages go as high as $7 a bottle.) And we’re working to expand distribution. I’m encouraged because more and more grocery and mass merchandising stores are embracing functional beverage sections. That being said, you’re right. There are food deserts in this country that leave people without basic healthy food. I think companies like REBBL have a role to play in fighting for the democratization of healthy food. Currently, a group of companies in the natural food world, including REBBL, rallied around Ron Finley—who is also known as the “Gangsta Gardener”—when he was threatened with eviction. The effort to raise $500,000 to help Ron keep his community garden, which provides jobs and healthy food to people in L.A., has been led by John Foraker—the CEO of Annie’s and a REBBL investor. These issues of environmental and social injustice need to be addressed so all of us have access to the healthy, sustainable food that our bodies and planet desperately need. It’s so honorable and selfless that you reveal so much about your bout with anorexia. Text book prototype. Overachiever, perfectionist, Caucasian, comfortable with being in control. Doing X leads to Y. Are you still an overachiever and perfectionist — and if so, then how do you stop yourself in your tracks before you fall down the anorexia path again? I didn’t reveal so much to be selfless—I did it to make a point that I care deeply about making. We have a culture of entrepreneurship that’s all about saying “everything is great!” We need to talk about what’s real—maybe not with everyone, but we all need people to whom we can say “This is really hard. I’m worried. I’m scared. I feel like I’m falling apart,” so that we can get the support we need. Our vulnerability also allows others to share theirs. I look at achievement differently than I used to. I want to strive to do the best I can and I ask the same of my kids. But my self-worth isn’t tied to the results of the business, it’s about being true to myself, my values and beliefs. My life will go on after my company, and I know I’m so much more than REBBL. Neither the numbers on the P&L nor the numbers on the scale reflect my value as a person. Anorexia is still something that I watch out for and I ask my kids and husband to help me watch. When I’m stressed, I need to be extra diligent. We all have our demons; an eating disorder was mine. Entrepreneurs are often distinguished by their persistence and dedication—qualities that serve us well as leaders. But they have a dark side. We must pay attention to that to stay in the light. When do you know you’ve finished parenting your entrepreneurial baby and are ready to hand her off? How do you trust she’ll be in good hands upon a sale? Understanding when you’re finished means paying deep attention to yourself and your gut. It requires stripping off your ego and understanding when you no longer have the skills or the drive to continue in your role. We’re all human and have things that we’re great at, and areas where we’re not as strong. Starting a company and managing it to scale require very different skills and leadership qualities. It’s important to know where we thrive and where we don’t so we can control the outcome of when and how we leave, instead of someone doing it for us. Upon a sale, there is no assurance that your company will be in good hands. But your deep diligence about the purchaser, and the philosophies and values of its leadership, are paramount. You need to do as much research on the buyer as the buyer is doing on you. In REBBL’s case, we’re working on becoming a B-corp, which is a legally binding way to assure that our shareholders support not just a financial bottom line but also consider people and the planet in a sale. The strength of the brand itself also protects your company. Since consumers care more and more about what the brand stands for, any buyer would do well to pay attention to that so they don’t destroy the brand. Yes—I’m at peace with who I am as a person and my self-worth is now firmly grounded in my intrinsic value as a human being. I always work on being better, and forgive myself when I feel like I haven’t performed at my best. That feels very successful!